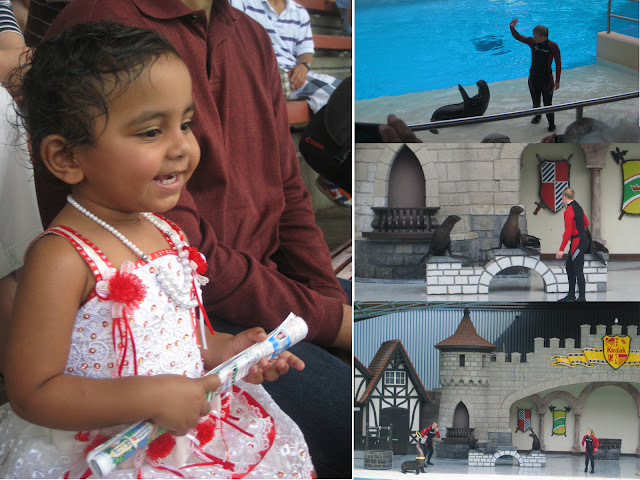 Liya enjoying the mind-blowing performance by adorable Walruses at Marine Land, Ontario, Canada! she looks so cute ENJOYING the show! What a beautiful dress! Looks like she's having a lot of fun! Made me smile! How fun...and what a cute outfit she's wearing! It's so great to be able to take the time to enjoy special events and adventures with our little ones! She sure looks like she's having tonsa fun! Hmmmmmm makes me want to go to Sea World again! Liya is so precious! Her dress is darling! That smile on her face is priceless! Looks like she is having a blast! So cute! What a gorgeous dress she's wearing! Christina --> Very true. we had a wonderful day. Thank you for being a regular reader of mine. Jill --> Welcome to our blog. Hope you found it interesting. See you around. Hi Liya. Look at that dress. I love it. Your smile is even more beautiful.